My first quilt is done and it wasn’t nearly as difficult as I thought it would be. Of course it’s only a yard square but it’ll make a nice baby gift for someone. I do know that I don’t want to make any larger sizes because I had enough trials with the small one. I did make a small trial quilt about 18″ square in order to try out the techniques before I ruined the bigger one with my learning process. On the test quilt I put together two pieces of cloth with batting in the middle (quilt sandwich) then embroidered a dog outline in the center just to make sure my new sewing machine would sew this project. 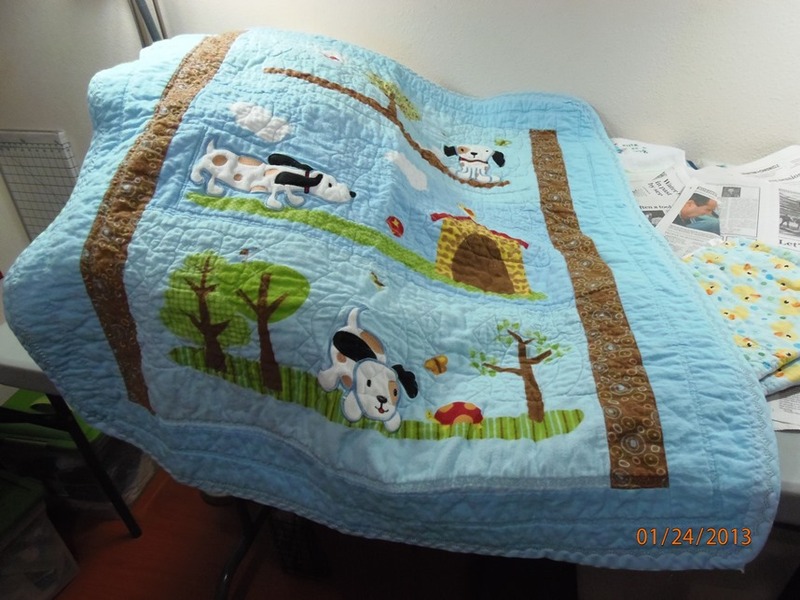 Today I sewed the binding around the outside on the test prior to doing the binding on the doggy quilt. I like the way they turned out; I even laundered both pieces to make sure my construction methods would hold with normal use. 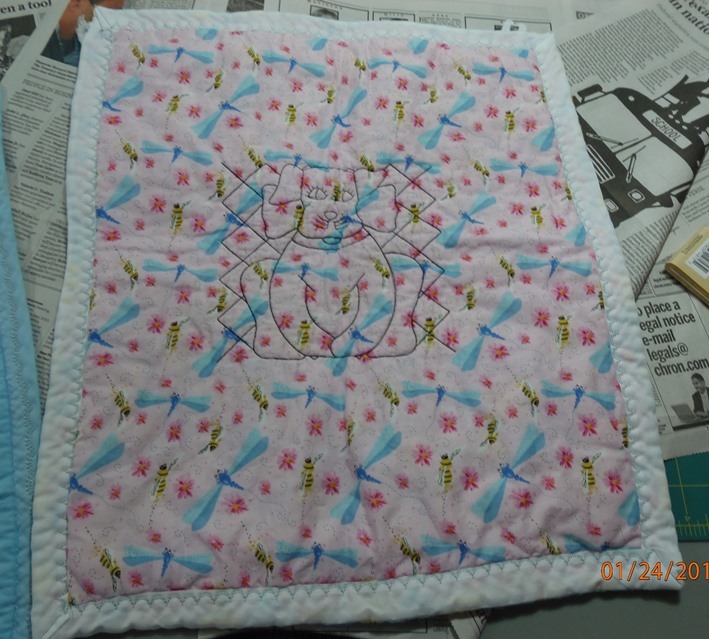 The result was that I’d made a quilt, a real quilt for the first time in my life. It’s not perfect by any means but I’m proud of it anyway, and proud that I figured it out on my own from watching YouTube videos on quilt-making, and reading up on the things about which I wasn’t clear. Tomorrow I’m planning on quilting the monkey/elephant baby quilt but I’m planning on serging the edge instead of binding it, so we’ll see how it comes out. Check back with me………. Beautiful! How talented you are my sweet!